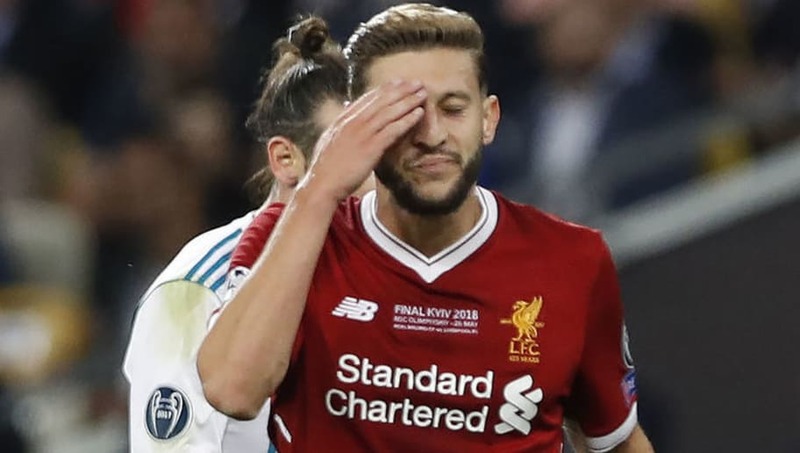 Real Madrid superstar Gareth Bale has revealed that ​Adam Lallana admitted to him that Liverpool struggled to control their nerves ahead of the Champions League final last season. The Welshman scored twice to seal a memorable 3-1 triumph in Kiev, including a sensational overhead kick that flew past Loris Karius in the Liverpool goal. Bale has revealed that he has since caught up with former Southampton teammate Lallana, with the injury prone England midfielder admitting to the Welshman that Liverpool's squad struggled to cope with their nerves ahead of the biggest game in European football. "I was chatting to ​Adam Lallana after the Liverpool final and I asked him whether they'd been nervous the night before," Bale told FourFourTwo, via ​The Mirror. "He told me they'd all been struggling to sleep. We'd all been really relaxed because we were so used to being in that situation. That gave us a big advantage as we knew how to deal with the emotions of everything surrounding a big final. Maybe ​Liverpool didn't." However, the former Tottenham winger believes Liverpool have improved since that night in June and admitted he has been impressed by Klopp's side this term. "Liverpool look like a very good team," he added. "They have been getting some really impressive results. They look even stronger now and they've improved defensively." Liverpool will look to continue their bid to make back-to-back Champions League finals as they welcome ​Bayern Munich to Anfield in a fortnight's time for the first of two legs in the round of 16. Before that, they will hope to get their title bid back on track with a win over Bournemouth on Saturday afternoon.